WOW! 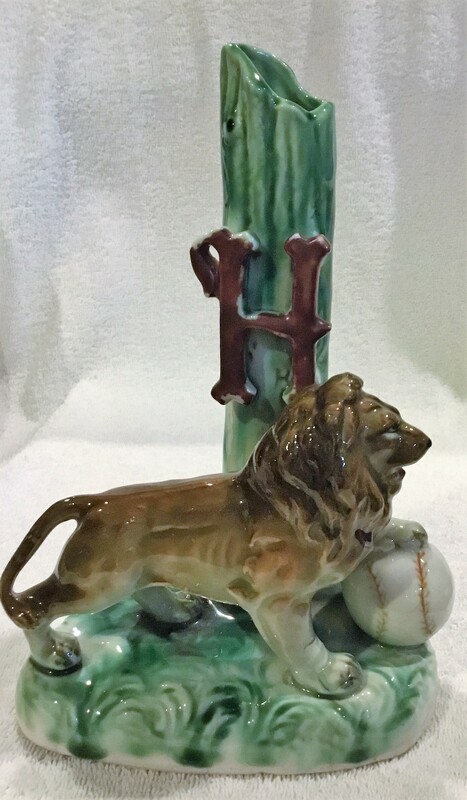 The Cuban League porcelain mascot statuary is some of the finest in the hobby and rivals the major League statues in beauty. 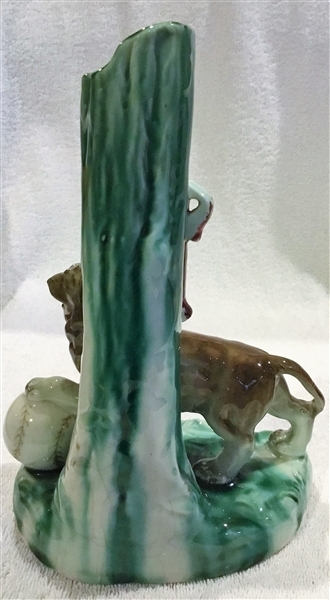 This vase is of the Havana Leones (Lions). It stands about 8" tall and features their mascot with one paw on a baseball. It is bright & clean and in excellent plus condition(some light crazing). These figurals will enhance any sports figurine collection.